It has a stainless steel enclosure and is designed for truck or trailers fitted with airbag suspension that have single ride height control valves. 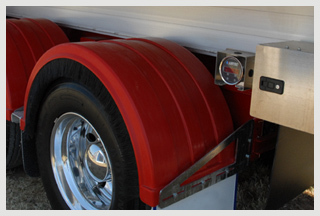 It provides a reliable and accurate solution to displaying the load on each axle group. AXL200 single sensor axle load indicator model is ideal for truck or trailers fitted with airbag suspension that has single ride height control valves. AXL202 dual sensor axle load indicator model is ideal for vehicles fitted with dual independent air bag suspension, per axle or axle group. Similar to the AXL200 series but instead of stainless steel enclosure it is housed in a tough ABS plastic enclosure with a clear polycarbonate cover. The 300 series are well sealed against water and dust for harsh Australian conditions and is designed for truck or trailers fitted with airbag suspension that have single ride height control valves. 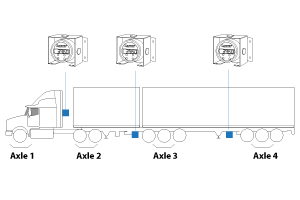 It provides a reliable and accurate solution to displaying the load on each axle group. Offers a rugged, reliable and accurate solution to display the load on each axle group. Sealed against water and dust. It can operate on a wide voltage range from 7 to 30 volt DC. 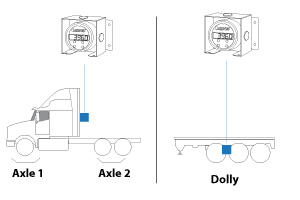 After installation to a Truck or Trailer with air bag suspension, the AXL is calibrated when a known load is applied and weighed correctly on a certified weigh bridge. Once the unit is calibrated the gauge will indicate the axle load weight via the large LED display. Minimise your risk of overloading.